The CompTIA A+ certification is the leader in professional IT certifications, and can open up a ton of career doors. These two courses will prepare you to pass the CompTIA A+ 220-901 and 220-902 certification exams. These exams focus on the fundamentals of computer technology, hardware, installing and configuring operating systems, and much more. With the materials contained in these courses, you'll be on the fast track to pass your CompTIA A+ certification with flying colors. CompTIA's Security+ certification is a top validation for security professionals working in the IT industry. This certification confirms a technician's critical knowledge of communication and infrastructure security, cryptography, operational security and more. With the materials contained in this course, you'll be on the fast track to pass your CompTIA Security+ certification. 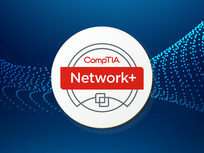 CompTIA's Network+ is a top certification that validates technical competency in networking administration and support. The certification confirms a technician's critical knowledge of media and topologies, protocols and standards, and network implementation and support. Obtaining this certification will make you eligible for many network administration jobs and put you on the path of a well-paid career in IT. 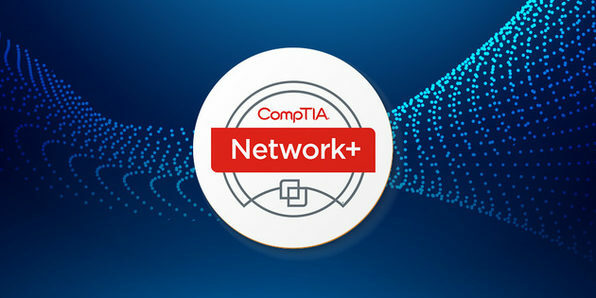 CompTIA's Cloud+ is a top certification that validates technical competency in methodology required to securely implement and maintain cloud technologies. The certification validates that an IT practitioner has the knowledge and best practices to work in cloud computing environments. Through these course materials, you'll get prepared to pass the CompTIA Cloud+ and be eligible for a wide range of high-paying IT positions..
CompTIA's Security+ certification is a top validation for project managers. This certification confirms a project manager's critical knowledge of the entire project life cycle, from initiation and planning through execution, acceptance, support and closure. The Project+ certification confirms the necessary competencies for all project managers, particularly in the IT industry, and the materials within this course will help you earn that certification. CompTIA's Linux+ is a top certification the knowledge of individuals with a minimum of six to twelve months of practical Linux experience. This course and study material includes expert instructor-led training modules with customized presentations, practice exam simulators and learning supplements so you can prepare for the Linux+ certification exam at your own pace. By course's end you'll have the knowledge and tools necessary to manage Linux systems from the command line. The Demand for Healthcare IT Technicians is Growing, It's Time to Get Certified! CompTIA's Healthcare IT Technician certification ensures IT professionals have the knowledge and skills needed to successfully install, manage and troubleshoot IT systems in medical and clinical settings. This certification dives into the latest hospital-based IT systems and focuses on the medical jargon you'll be working with. Health IT professionals are growing in demand and salary, so the time to get certified is now. CompTIA's Advanced Security Practicioner (CASP) is a top certification that validates IT professionals with advanced-level security skills and knowledge. The certification covers the technical knowledge and skills required to conceptualize, design, and engineer secure solutions across complex enterprise environments. Obtaining this certification will make you eligible for a range of high-level, high-paying IT jobs.